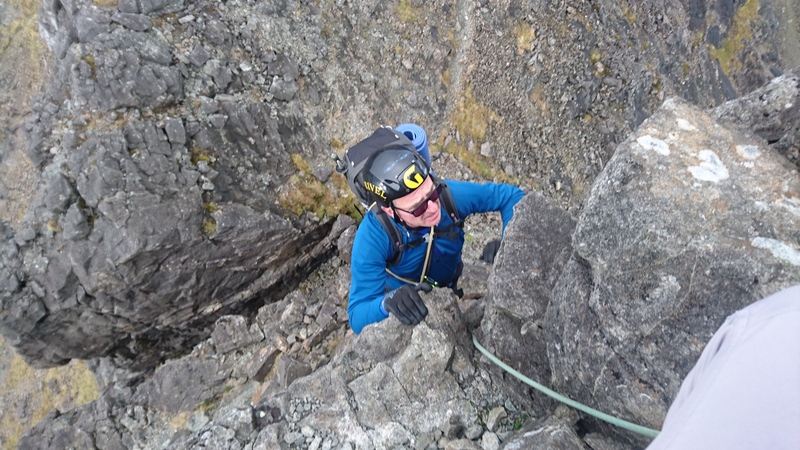 Its been a wet and blustery season on the Isle of Skye so it was with great joy I finished my working season with a fair weather Munro course and a dry Cuillin Traverse, with just one minging day somewhere in the middle. 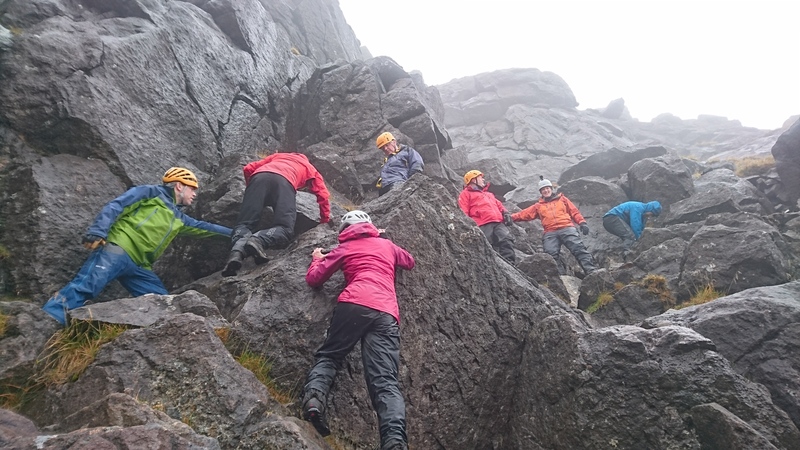 All 7 days I was working for West Coast Mountain Guides. 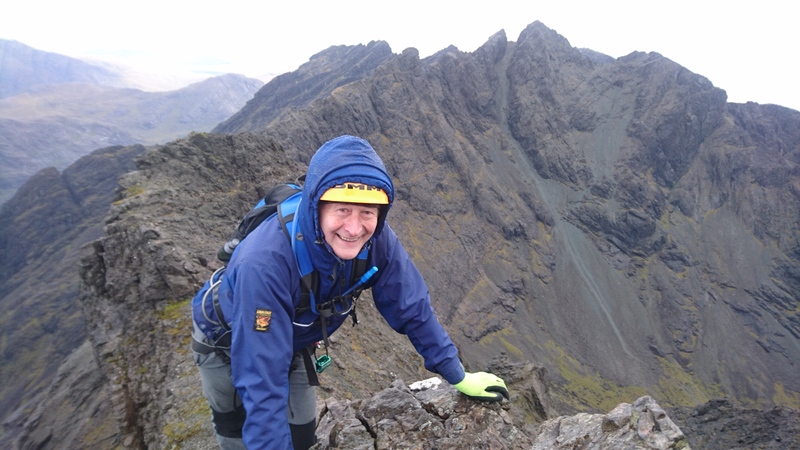 Barry and I had been planning a Cuillin Traverse for a very long time. We have both been as flexible as possible to ensure the weather was in our favour, so much so its been around a year in the making to finally get together and set foot on the ridge. 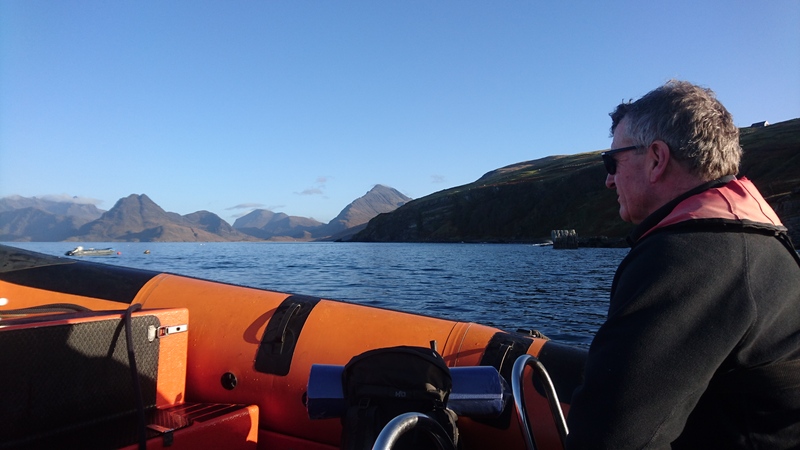 We took the boat from Elgol for the full experience, having previously owned a power boat Barry loved whipping over the sea but was maybe not so keen on the soggy walk to our first top Gars-bheinn. From here we made steady progress along the ridge, taking in some climbs and skipping underneath others. 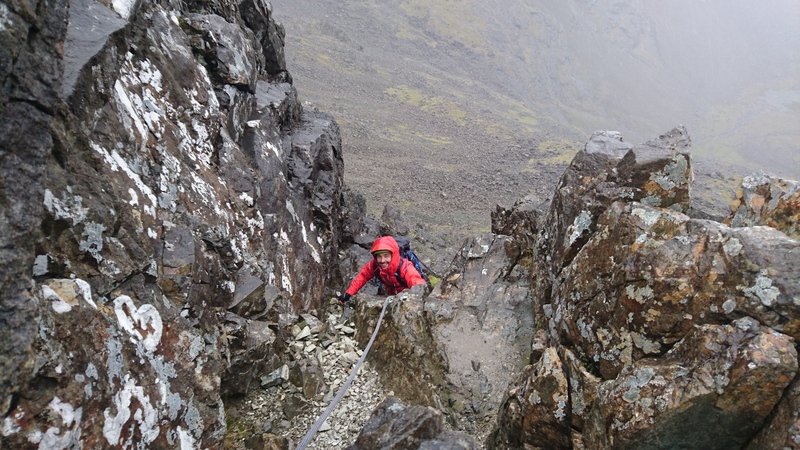 Barry had to fight hard to climb the Kings Chimney so I was glad I had talked him out of the TD Gap. 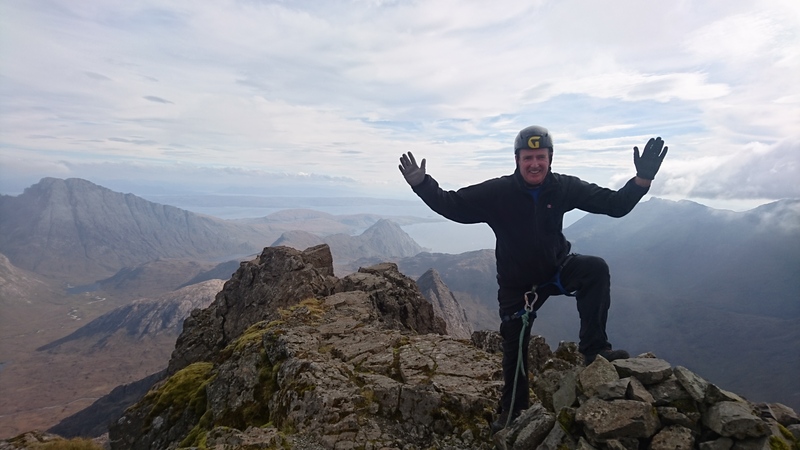 However, at 65 Barry kept battling on up and over the In Pinn towards our four star bivi (not five as no spring!) 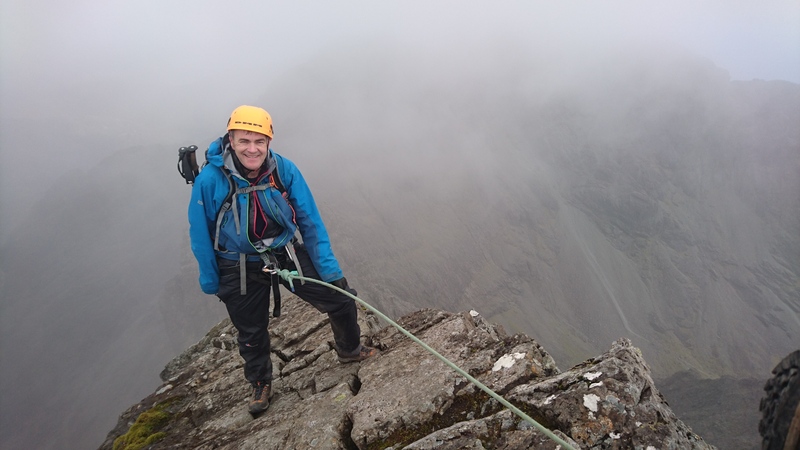 at Sgurr na Banachdaich, where we found great shelter from the strong winds before settling in for a long night. 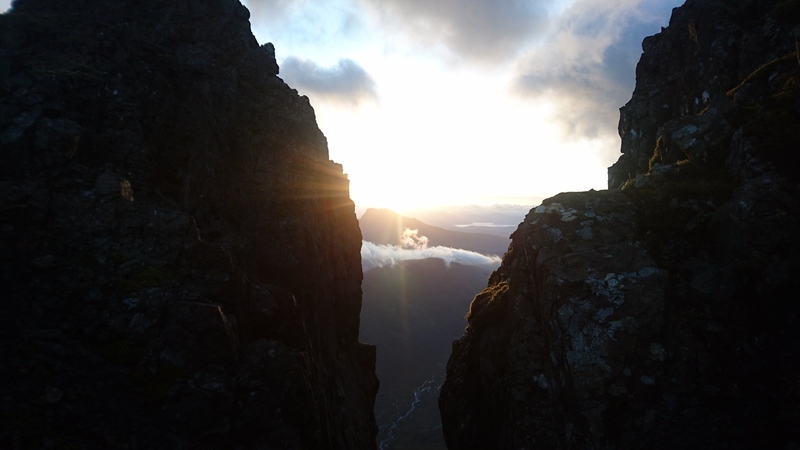 Theres never any reason to hang about after a chilly bivi so we were ‘up and at em’ for 7am over the tops of Mhadaidh and striding towards to northern end to beat the approaching gales. 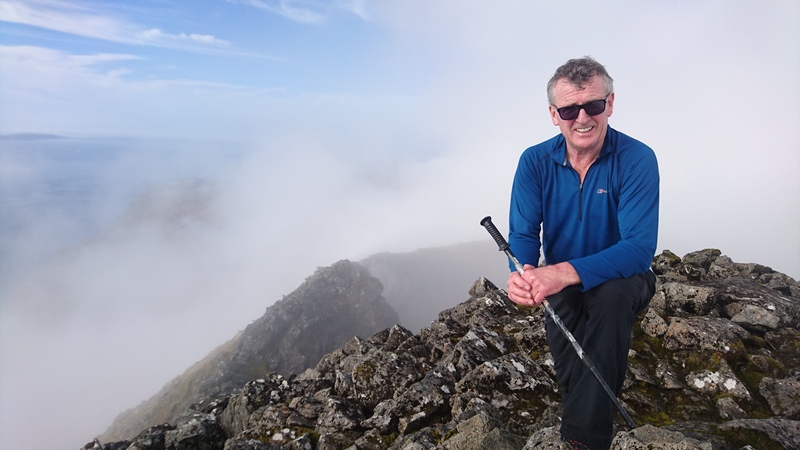 I knew Barry was feeling the burn but we kept a steady pace completing Am Basteir and our final peak; Sgurr nan Gillean for 3pm. 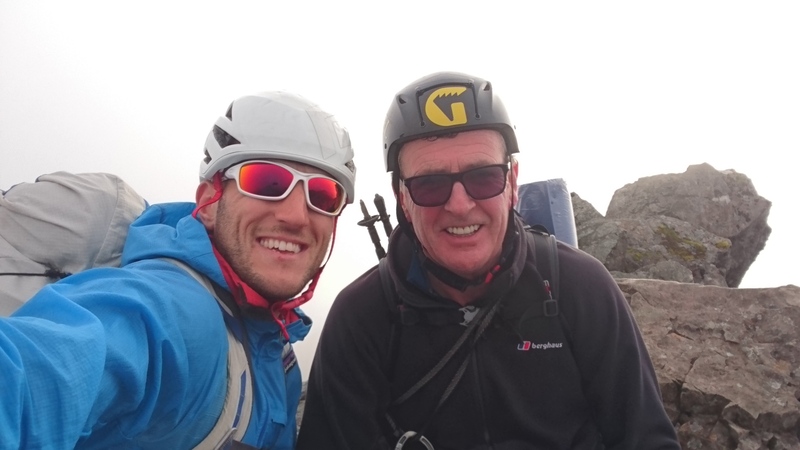 It had been a great adventure in near perfect conditions, partnered by the ever positive Barry who should be super proud to complete such a task at 65 years of age. A fine way to finish my Skye 2017 season. 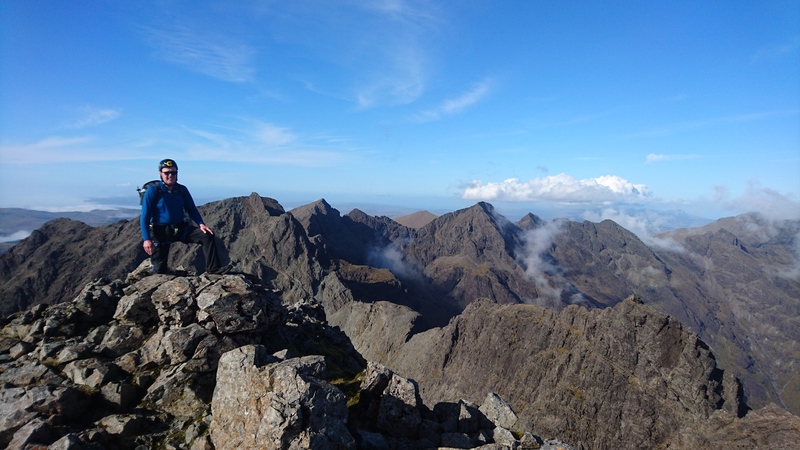 Prior to the traverse Scott and I delivered a four day Munro course which aims to complete all main Cuillin Munros over four big days. 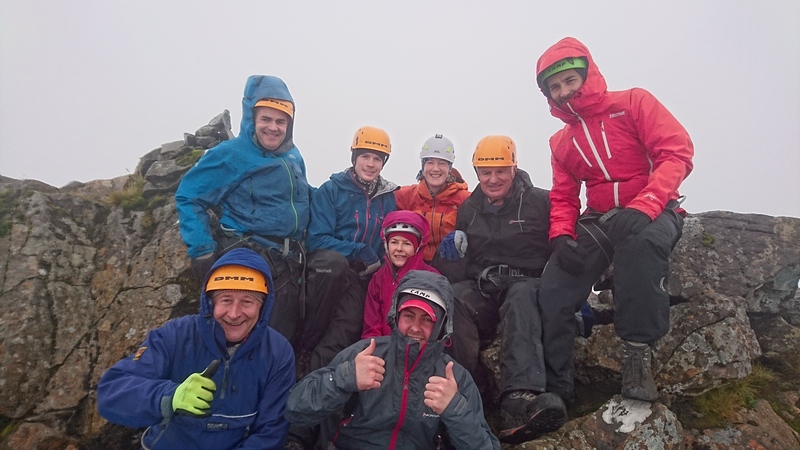 Our team of eight had a real mix of experience from having done the Skye Munros twice previously to nervous scramblers ready to test themselves against Scotland’s most challenging summits. 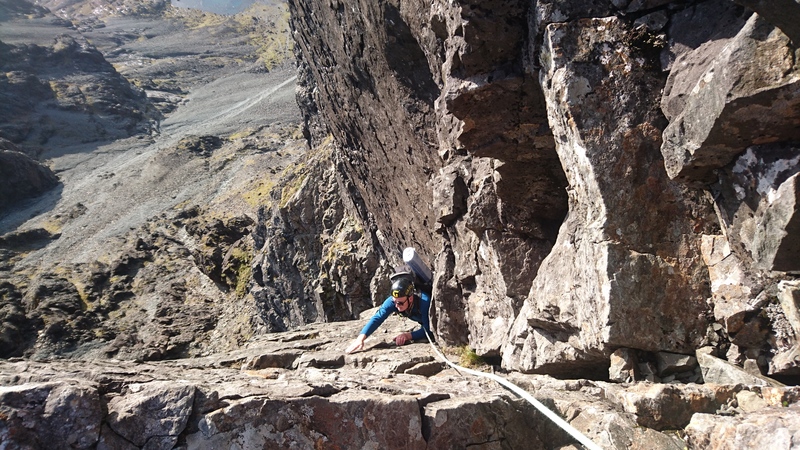 Four days and a good mix of weather and emotions for our team, in the end we had to miss the easiest Skye Munro; Sgurr na Banachdaich after hitting a queue on the In Pinn. Well done to all for putting the effort in!